Scheduled Release: It's here, along with the 2009 Lincoln Calendar! Scroll down to order yours now! 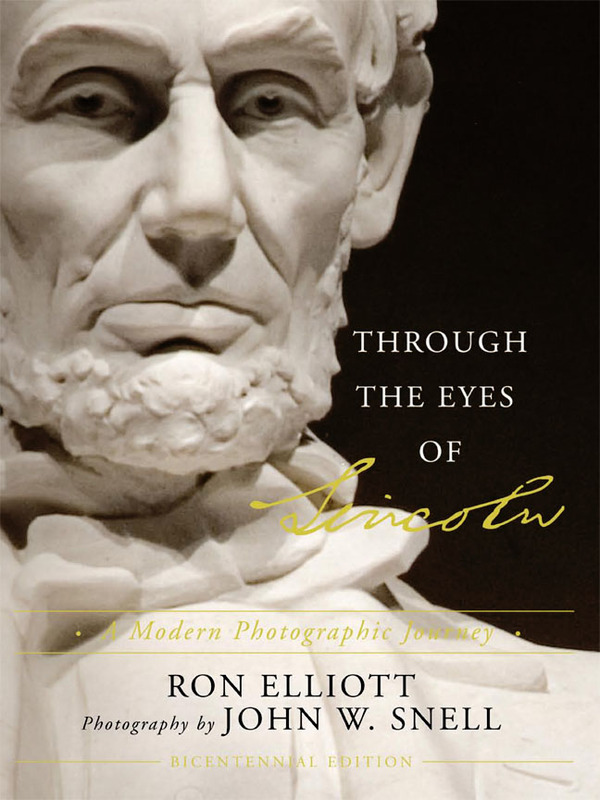 I have teamed up with noted author and raconteur Ron Elliott and Acclaim Press to create "Through the Eyes of Lincoln, A Modern Photographic Journey," a hardbound coffee-table book featuring a closeup look into the life of our sixteenth President. Just when we thought that nothing new could be written about Lincoln, Elliott surprises all with his research efforts which unearthed little known and even previously unknown facts which portray the iconic Lincoln in more human form than has been previously accomplished. 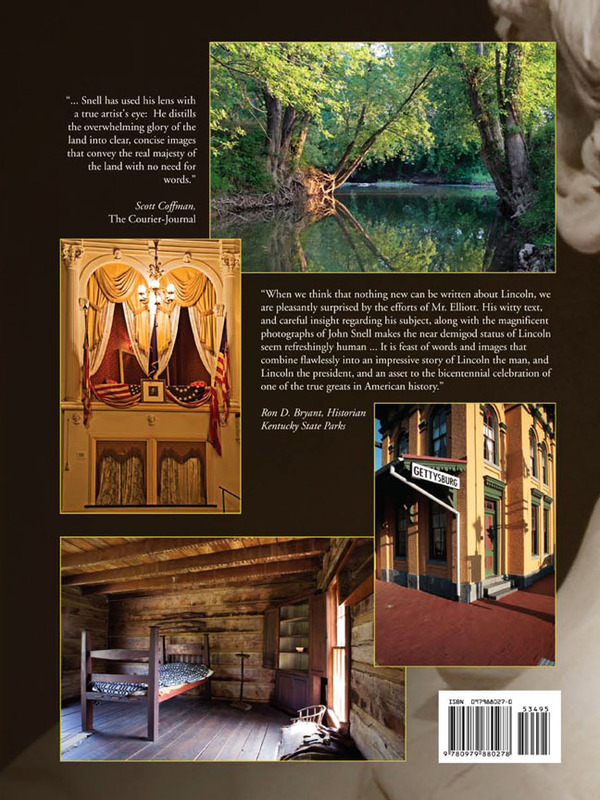 To obtain photographs for the book, I accompanied Elliott, my long-time friend, to Lincoln-related sites in Kentucky, Indiana, Illinois, Pennsylvania and Washington, DC to photograph historic sites, documents and monuments related to Lincoln. The book contains some 90-plus photographs I took, along with many historic photographs obtained from such sources as the Library of Congress. I delighted in visiting and photographing locales relevant to Lincoln….the picturesque Knob Creek/Rolling Fork confluence, where his father launched a raft bound for Indiana…the Ohio River site where Lincoln himself embarked by raft to New Orleans…the building on the Knox College campus in Galesburg, Illinois where one of the Lincoln-Douglas debates took place…the Arlington National Cemetery grave site of Lincoln’s eldest son, Robert…the Washington, DC church pew where our 16th president worshipped. All were intriguing! This book sells for $34.95 (plus $5 shipping, where applicable). Please do not send credit card information by e-mail. For your security, it's best to call that in to me. If you don't care to get an autographed copy, you may find the book at Lexington, Kentucky retailers such as Joseph-Beth (859-273-2911)and Barnes & Noble (859-543-8518). Book stores in the Louisville, Kentucky and Cincinnati, Ohio area also carry the book. Call ahead for availability. All images and text Copyright John W. Snell, 1999-2006. This page last updated on November 8, 2006.